Every tenant paying their monthly rent must be careful of duly collecting their rent receipt. This document is an assurance to the tenant from the landlord that he has duly received the rent for the property leased out to the tenant. The format of this receipt must contain certain information and details in order to avoid any confusion in the future. 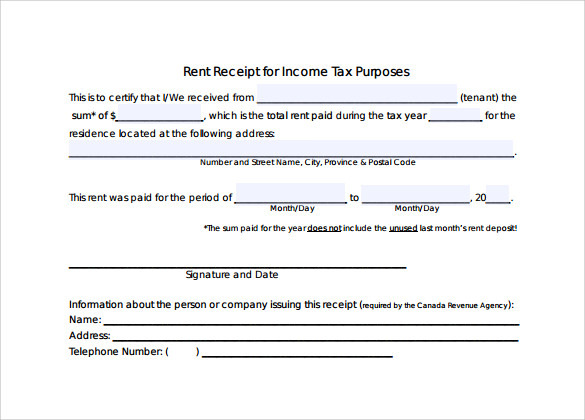 The rent receipt form template can be used by a tenant or a landlord to create an effective rent receipt format. 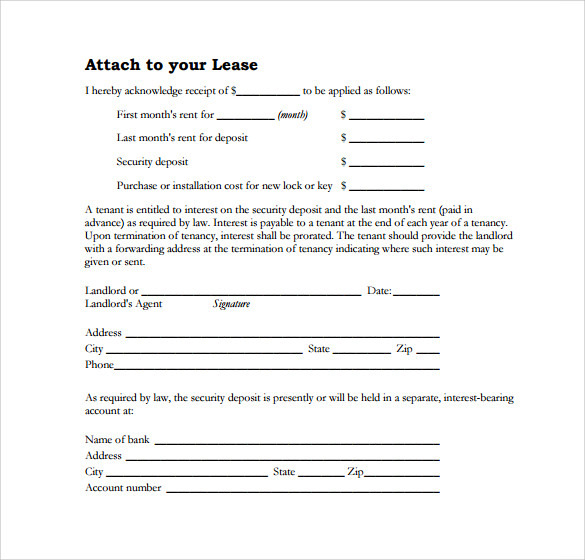 This Office Rental and Lease Form Templates design can be easily downloaded in the format of a word document or even a PDF. 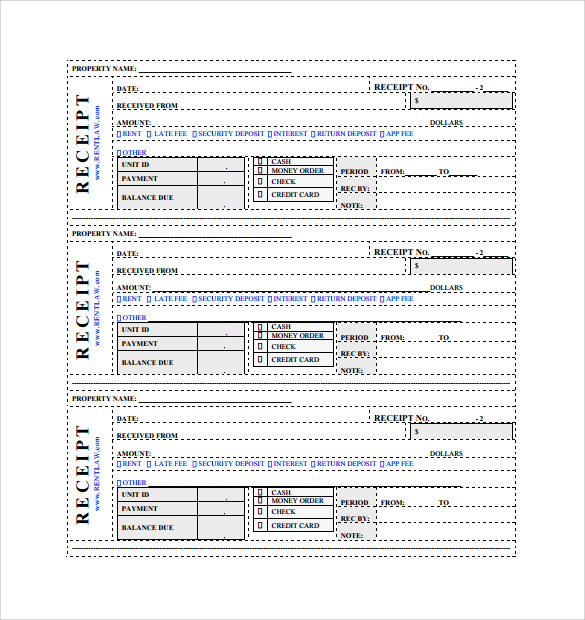 This is a simple template layout that helps the user to create an effective form f rent receipt. This template has empty spaces that can contain the information about the address and the contact number of the landlord and the tenant. There is considerable space that can be used to describe the nature of the property that has been leased out. There is also a box mentioning the total amount of rent and the person who has received the rent. 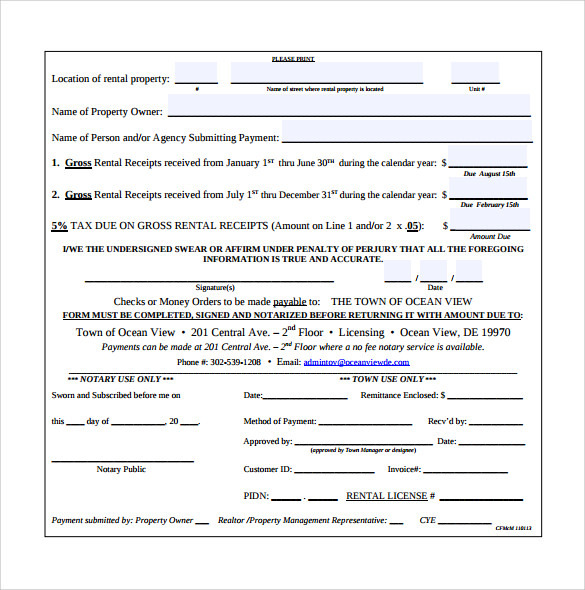 This is a rent receipt form or design that can prove to be of considerable importance to the landlord for the landlord. This receipt form cannot just be used by the tenant but can also be of considerable benefit to the landlord especially for income tax purpose. This format contains information of the name of the tenant, the sum of money received from him and on what date and also the tax year, the address of the property leased out etc. 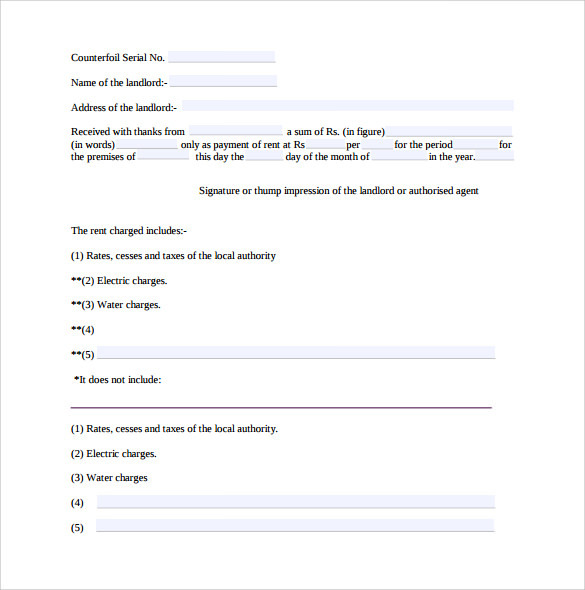 This is a simple format that can be used by the landlord or the tenant to create rent receipt document. This piece of documents is of special importance since it mentions the amount of rent paid for the first month and also the last month. This format also mentions the security deposit amount and also the amount spent by the tenant on purchasing new lock and key or other such things. The format is fully editable that helps the user to feed in new information, terms and conditions as per their requirement. In case a neat and clean rent receipt format is what you want as a landlord or as a tent then the rent receipt form template is exactly what you want. This fully editable template can be easily downloaded by the user and conveniently edited as per the requirement of the user. This template layout has a neat and a professional look. 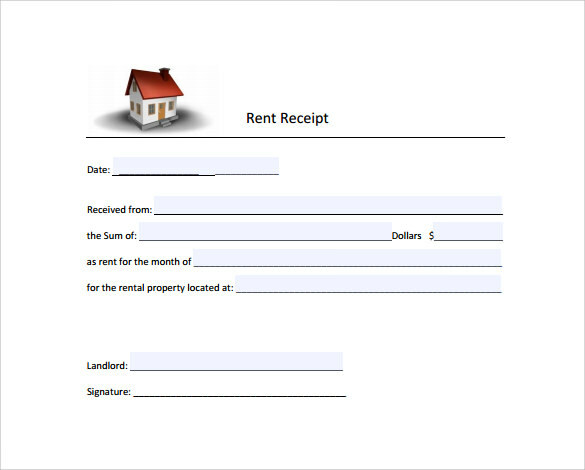 This template can help to create very effective rent receipt forms. 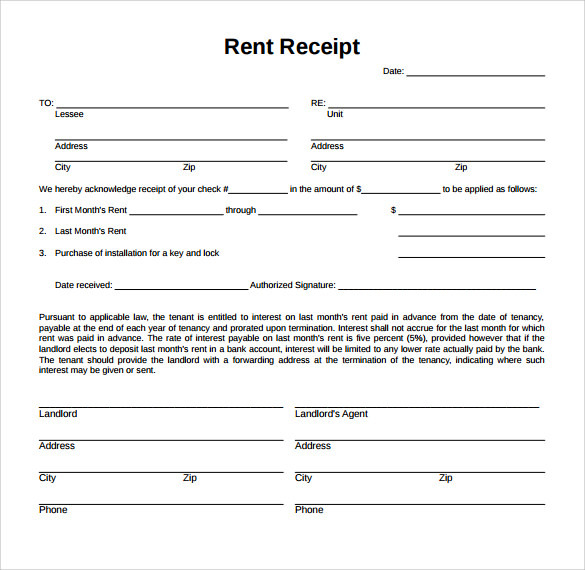 Simple and minimalistic, this template format is your best option to create an effective rent receipt form. The design has a very formal and professional look and can support some of the most pertinent information pertaining to a lease or rent agreement. The template will have information spaces of the breakup of the rent, name of the tenant, amount of rent, paid for the period of and also the tenure of the said agreement contract. A landlord or a tenant looking a design to create a rent receipt form can easily choose this rent receipt form template that has a clean and a simple look. The format is very neat and contains spaces for all the important information such as details of the landlord and the tenant, the rent amount, the mode of payment, date of payment receipt etc. This form has a ledger like format and design. The template is completely editable which will allow the user to feed in important information such as the payment amount, date and also the balance due if any, along with the names of the tenant and the landlord. Cute and simple you can download this format of the rennet receipt document. Elegant and effective this design will cover details like the date of payment receipt, name of the tenant o the person making the payment, the sum of money, month paid for and also the location of the property in concern. It is the duty and the right of the tenant to ask for a rent receipt from the landlord. This is a piece of document that will help to keep away any ambiguity in the future. 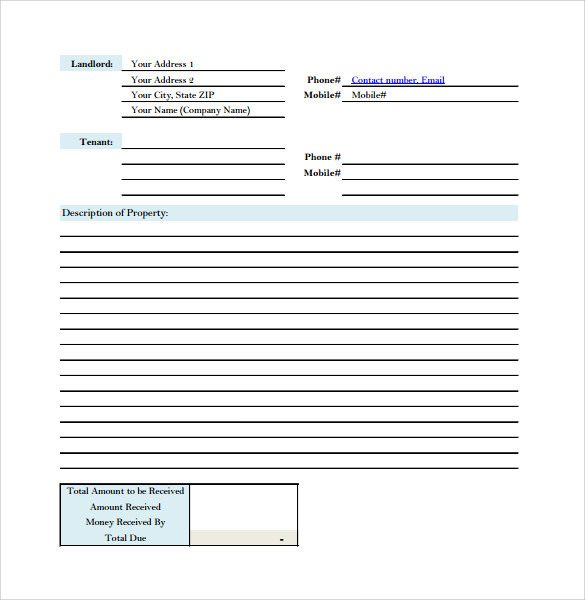 Tenant and landlords can trust the rent receipt form template to create effective receipt formats.